Czech language for foreigners Czech language for foreigners for free: Travel to the Czech republic guide: 5 tips, what to visit! Travel to the Czech republic guide: 5 tips, what to visit! I know, I know, I know! Prague is the place which a lot of people want to visit. Prague is very beautiful city, with many historical buildings, with famous Charles Bridge, Orloj, Pražský hrad, Václavské náměstí or a lot of typical Czech pubs with awesome Czech beer. In Prague are every day thousands of tourists and everyone looks excited. Have you ever wondered about places around or far away from Prague? The Czech Republic boasts beautiful scenery, old typical villages with old costumes and food. You can also see this in Prague, but you must go to some museum, pay entry and look at figurines or listen to your guide. When I was young I liked Prague. I was excited, when I knew, that I will go there. Now, I do not like this city. Every time I'm there I want to turn quickly back home. It is something like stereotype, you know. America is the name for a set of pit limestone quarries in the Czech Karst , which are connected by underground tunnels. Examples include Great America, Little America and Mexico, several large and small quarries in the surrounding forests. Located near the village of Mora in the Český Kras, near the castle Karlštejn. Names of individual fractures are secondary and resulted from a significant part of trampského environment. Specifically, the name America is documented for solitude, located near the bottom, from the year 1859! Adršpach Rocks are an unusual set of sandstone formations covering 17 km² in northeastern Bohemia, Czech Republic. They are named after two nearby municipalities: Adršpach, and Teplice nad Metují. Trosky Castle is a castle ruin located some 10 km south of Semily, Liberec Region, Czech Republic. It is one of the most famous Czech castles and is situated on the summits of two basalt volcanic plugs. On the lower peak (47 m) is the two-storey structure called Baba (Old Woman), and on the higher outcrop (57 m) is the four-sided structure known as Panna (Virgin). The castle is a landmark in the countryside known as Český ráj (Bohemian Paradise). Říp Mountain is a 459 m solitary hill rising up from the central Bohemian flatland where, according to legend, the first Czechs settled. Říp is located 20 km south-east of Litoměřice, Czech Republic. Geologically, Říp is the erosional remnant of a Late Oligocene volcano and is composed of basalt nephelites containing olivine granules, amphibole, leucite and — among others — magnetite, so a local magnetic anomaly can even be observed there by the compass. The hill was bare until 1879 when Mořic Lobkowitz had it planted with trees. Today, almost all of the mountain is covered by an oak-and-hornbeam forest with some maple, pine ash, and linden trees. Some rare thermophile plants can be found at the few tree-less places on the top of the hill, such as Gagea bohemica and Iris pumila. Říp, being visible from great distance, has always been an important orientation point in the Bohemian scenery and has attracted attention since the oldest times. The name of the mountain is of pre-Slavic origin and probably comes from the Germanic stem *rīp- which means "an elevation, a hill". 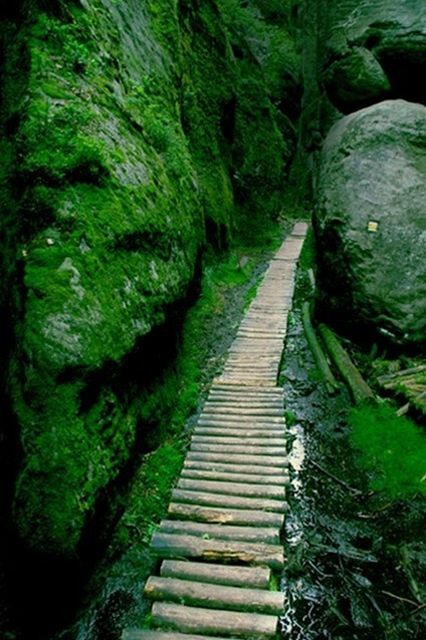 The Bohemian Forest, known in Czech as Šumava is a low mountain range in Central Europe. Geographically, the mountains extend from South Bohemia in the Czech Republic to Austria and Bavaria in Germany. They create a natural border between the Czech Republic on one side and Germany and Austria on the other. The Bohemian Forest is the dividing range between the watersheds of the Black Sea and the North Sea, where water collected by the Vltava, Otava and Úhlava rivers flows. These rivers all spring from the Bohemian Forest. Owing to heavy precipitation (mostly snow), the peat bogs and the Lipno Dam, the Šumava region is an important water reservoir for Central Europe. More important for their aesthetic value than for holding water are several lakes of glacial origin. Do you need newspapers, magazine, book or DVD in Czech language? Let me know on my email and I will try to help you! What should be the next article? How to ask for beer in the Czech language? 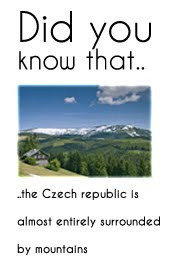 Learn Czech Language For Free!